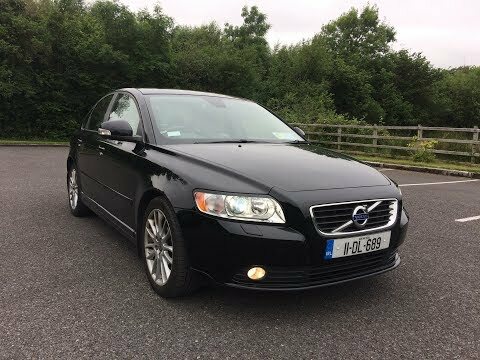 If you're looking for a premium compact sedan loaded with features at a very modest price, spend some time behind the wheel of a 2011 Volvo S40. With its Whiplash Protection System and other safety features, the Volvo S40 will appeal to your need for security, as well. Reliable, safe, comfortable & classy. My vehicle is reliable, safe, with affordable gas, it is very comfortable & a classy looking car. The car runs smooth & I have not had any problems with it. The down size of the car is that my husband a 6-2 man cannot sit behind the baby car seat b/c he will not fit. The parts are sometimes expensive and harder to find. Some things I like about my vehicle is that it is appealing to the eye, it is fairly new, has leather seats, a big trunk and gets fairly decent gas mileage. If I could change a few things about it, I would want a little bit better gas mileage and remote start. Lots. Of. Headroom. I mean like really! There is a good 10' of headroom there. You wouldn't believe it until you see it! VOLVO IS RECALLING CERTAIN MODEL YEAR 2011 S40 PASSENGER VEHICLES. A CRACK ON THE TOP SIDE OF THE PASSENGER SIDE SUPPORT MEMBER IN THE ENGINE COMPARTMENT MAY HAVE DEVELOPED DURING THE FORMING PROCESS IN COMPONENT PRODUCTION. THE CRACK COULD HAVE AN EFFECT ON THE FRONT STRUCTURE AND MAY REDUCE THE CRASH PERFORMANCE OF THE VEHICLE. DEALERS WILL INSPECT FOR CRACKS ON THE TOP SIDE OF THE PASSENGER SIDE SUPPORT MEMBER IN THE ENGINE COMPARTMENT. IF NO CRACK IS FOUND, NO FURTHER ACTION IS NEEDED. IF THE INSPECTION REVEALS THAT A VEHICLE HAS A CRACK IN THE SIDE SUPPORT MEMBER, THE VEHICLE WILL IMMEDIATELY BE TAKEN OUT OF SERVICE. A NEW REPLACEMENT VEHICLE OF EQUAL SPECIFICATION WILL BE PROVIDED BY VOLVO. THE SAFETY RECALL IS EXPECTED TO BEGIN ON OR BEFORE APRIL 15, 2011. OWNERS MAY CONTACT VOLVO CUSTOMER CARE CENTER AT 1-800-458-1552, MONDAY THROUGH FRIDAY, 8:30 A.M. TO 5:00 P.M. EST. OR E-MAIL AT CUSTOMERCARE@VOLVOFORLIFE.COM.